Walsall's home clash with Chesterfield has been postponed due to a waterlogged pitch. The Banks's Stadium playing surface failed a 6pm pitch inspection after heavy rain throughout the day. 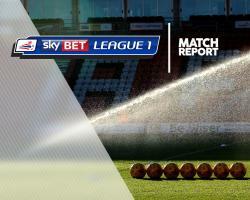 No new date has yet been announced for the Sky Bet League One fixture.